Over the past few weeks both on the site and in emails to various friends and family, we'd be complaining about our lot in life. You know, world travel is so rough, we're ready to be home, we're really tired, etc. 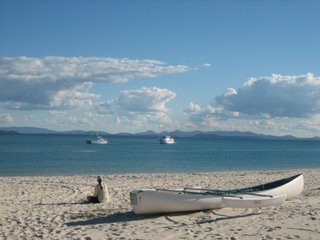 Although we garnered zero sympathy from the peanut gallery (all usually responding from their cubicles) it was getting tough; we were just running out of gas and being on the more touristy East Coast of Australia were having a difficult time just finding a place to relax and recharge our batteries. 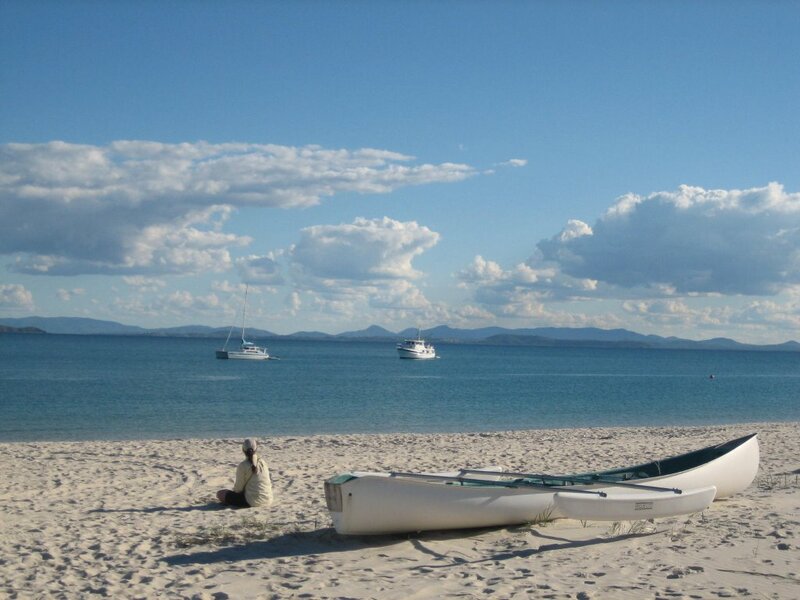 Come closer so that we can at least whisper it: Great Keppel Island. We spent the last four plus days here. Had we not already had a plane reservation for Brisbane it would have been more. It quickly became one of our favorite places on the trip if only for the reason that we were able to actually achieve that elusive total relaxation, spending our time walking the beach, sea-kayaking, throwing a disc on the beach, reading a book or playing cards on the deck of our tent and generally doing nothing. Pretty much everything we hope our pit stop in Fiji provides us; it will be interesting to see if it can compare. So finally we found some relaxation in the busy homestretch of this trip. In short, we're recharged and ready to try our hands at tackling the surf of Byron Bay.